Las Vegas, NV – Mark Malkowski, President of STAG ARMS, has been awarded the National Shooting Sports Foundation’s 2014 SHOT Business Person of the Year. 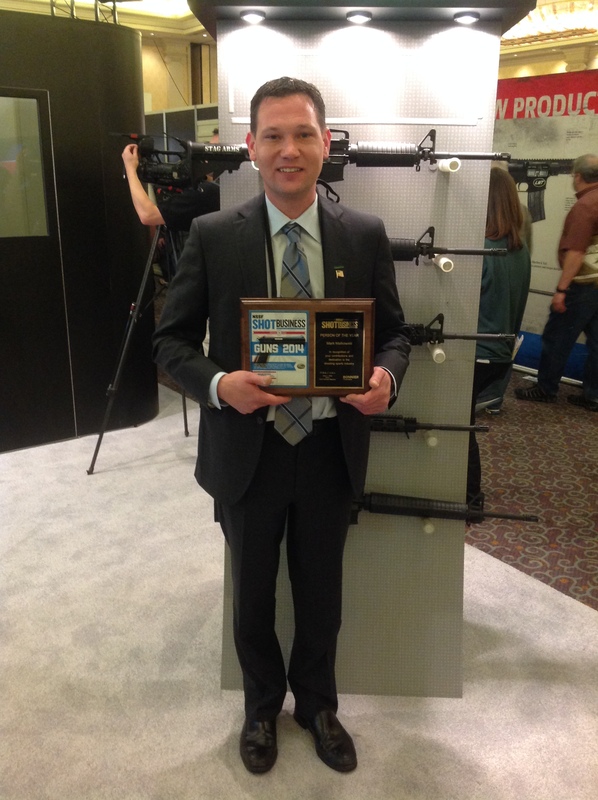 Mr. Malkowski was honored at the Bonnier Outdoor Group’s SHOT Show Breakfast held on January 14th in Las Vegas, NV. The SHOT Business Person of the Year award recognizes the individual who has excelled in promoting the shooting sports industry and presenting a positive image while making great personal sacrifices – both in time and financial resources. Throughout the past year, Malkowski was valiant in his efforts to protect Second Amendment freedoms for law abiding citizens at both the state and national levels. He eagerly met with media reporters and conducted numerous interviews to educate the public about the realities of impending legislation as well as the long term negative effects these laws would have on the firearms industry once implemented. Malkowski was instrumental in disseminating information to gun shops, gun owners, and the general public and he increased rifle shipments to states facing new, stricter legislation in order to ensure that any law abiding citizen who wanted to purchase a rifle before the ban went into effect could indeed do so. Furthermore, he forfeited a day of business, closing Stag Arms to take his entire staff to the state capitol in a concerted effort to protest the proposed legislature face to face. Malkowski went on to say he will “continue to be a voice for the preservation of America’s hunting and shooting heritage” and plans to focus his efforts even further on educating the community about firearms safety throughout this new year.